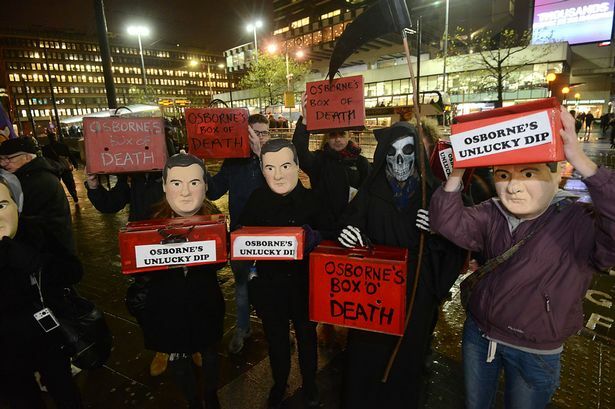 The Grim Reaper was surrounded by five ‘George Osbornes’ at a protest against the Chancellor’s budget. 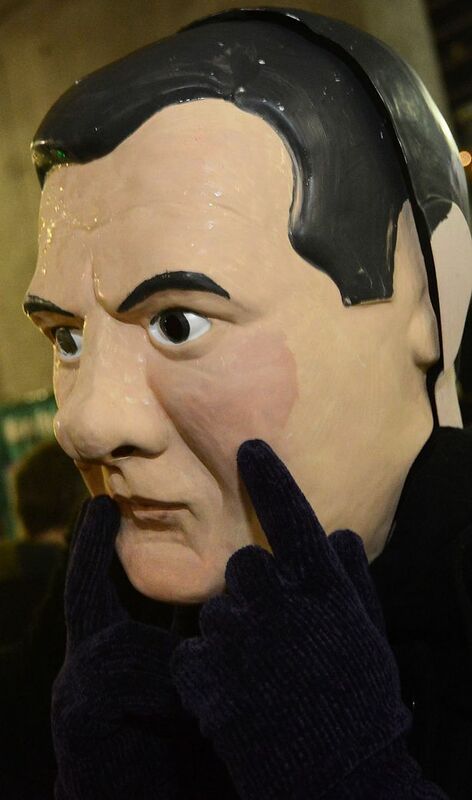 Held on the eve of the spending review, in which Mr Osborne is expected to make more cuts to balance the books, anti-austerity campaigners from the People’s Assembly warned of a ‘Nightmare Before Christmas’. 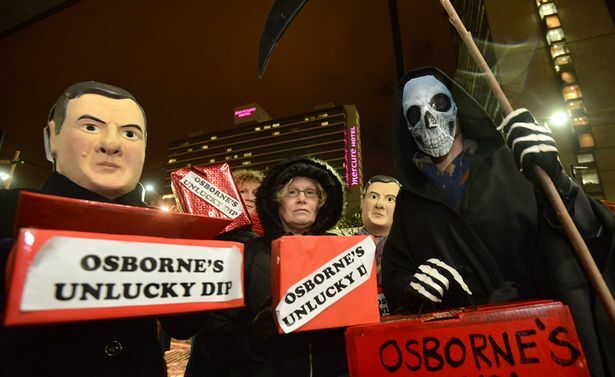 Dressed as the grim reaper, Emily Jones, from Levenshulme , a full-time carer for her husband said: “The Tories are just continuing with austerity, making cuts to the NHS budget, tax credits – but funnily enough finding money for war and bombs. 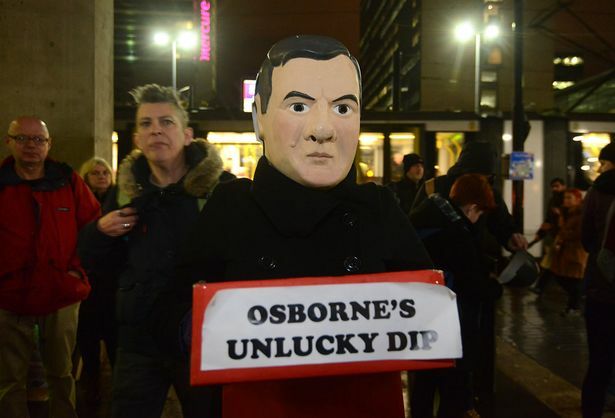 “We are making people aware of how these cuts will affect them. I think people don’t realise. “Some people feel the Tories are strong on the economy when really they are undermining hard working people they say they support. They are taking money off children. It’s really unfair. Zoe Cattan, 41, from Levenshlume, said: “It’s going to affect people I know with families. An ‘unlucky dip’ featured ‘prizes’ including messages like ‘fresh air only permitted if you are related to an MP’. Another proclaimed: ‘Anyone who will have their tax credits cut will get a free bag for life’. Of the unusual tactic, Zoe added: “This is a new strategy – we find it helps engage people and gets the conversation started about how they are going to be affected. Charlotte Cooper said: “It is heartbreaking to hear so many stories of people struggling for basic needs, being harangued for claiming much needed welfare and lacking support from services.